A linguist argues for the legitimate and complicated contributions of the language he calls Black English. McWhorter worries that academic linguists have relied too long on scholarly arguments in making this point. He does review some of those arguments–for example, Black English’s systematicity, meaning it has a grammar of its own–but then turns to global language patterns. Many cultures and language groups speak both a formal and a casual language in different settings, e.g., Standard Arabic and the local colloquial form (Egyptian Arabic, Syrian, etc.). 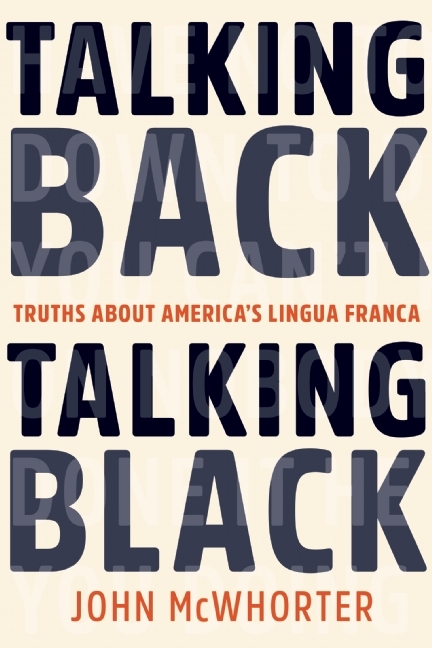 While he acknowledges that racism partly underlies a general resistance to Black English as a legitimate language, he quickly moves on to what he sees as the larger problem: a misunderstanding of the value of diglossia, or speaking two languages. Along the way, McWhorter cites the relationship between modern Black English and the lingo of minstrel shows, makes the case for a recognizably black way of speaking (or “blaccent”) and examines usages such as “baby mama,” “who dat?” and what he perceives as two versions of the N-word. Linguistics fans will be enthralled by McWhorter’s fascinating and logically presented study of two forms of English spoken in the United States. This review originally ran in the January 24, 2017 issue of Shelf Awareness for Readers. To subscribe, click here, and you’ll receive two issues per week of book reviews and other bookish news.